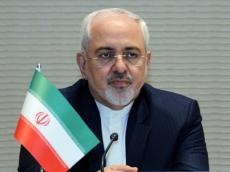 Iranian Foreign Minister Mohammad Javad Zarif said the 2015 nuclear deal between Tehran and world powers was not supposed to address the country’s banking problems, adding that such issues should be seen in the context of the Financial Action Task Force (FATF). “Most of the people in the country, who are talking about FATF, do not know what they are talking about and what the FATF is,” Zarif said on June 24 during a meeting at Iran’s Chamber of Commerce in Tehran. He added that the Iran nuclear deal, also known as the JCPOA, was not supposed to address the country’s banking issues. “Such issues need to be pursued in the framework of the FATF,” Zarif stressed. He said the Iranian ministry would only follow up on the issue of Iran’s accession to the FATF. Recently, Khamenei called on Iranian lawmakers to act self-reliantly when it comes to ratifying treaties invented for the good of big powers, saying the positive aspects of such conventions are not enough for Iran to join them. The comments came some two weeks after the parliament decided to put on hold debates on bill of "Accession of the Government of the Islamic Republic of Iran to the International Convention for the Suppression of Financing of Terrorism” for two months.